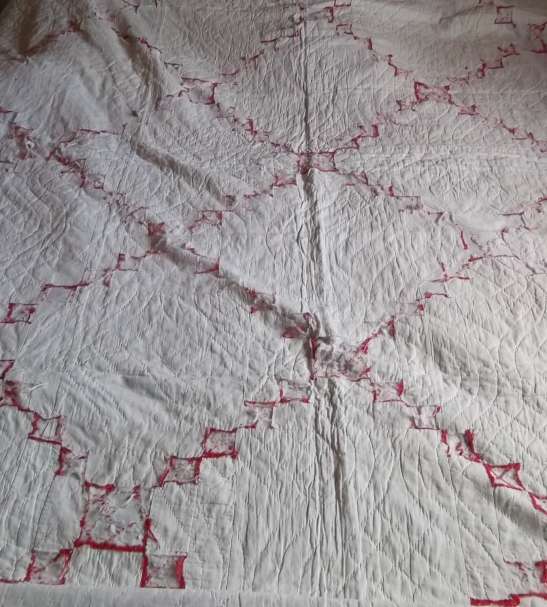 Pattern taken from a vintage bed quilt. 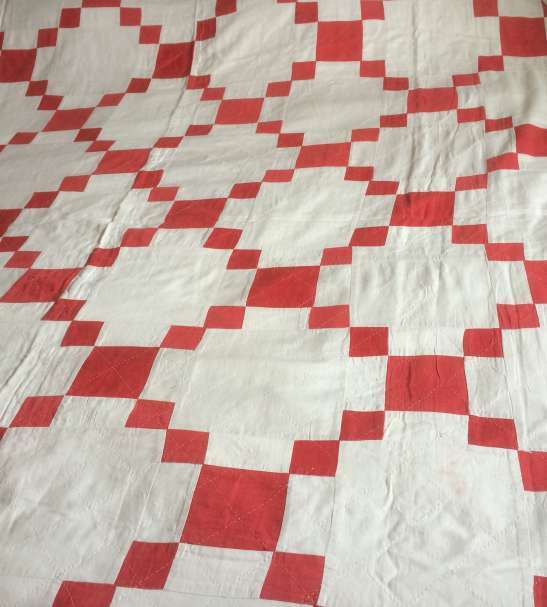 This pattern is taken from a vintage quilt and will finish at 70 x 77 inches. 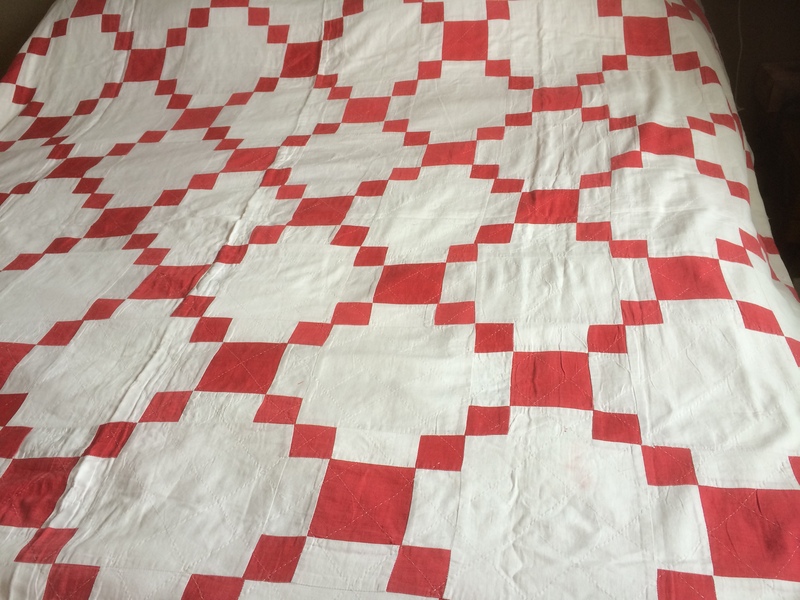 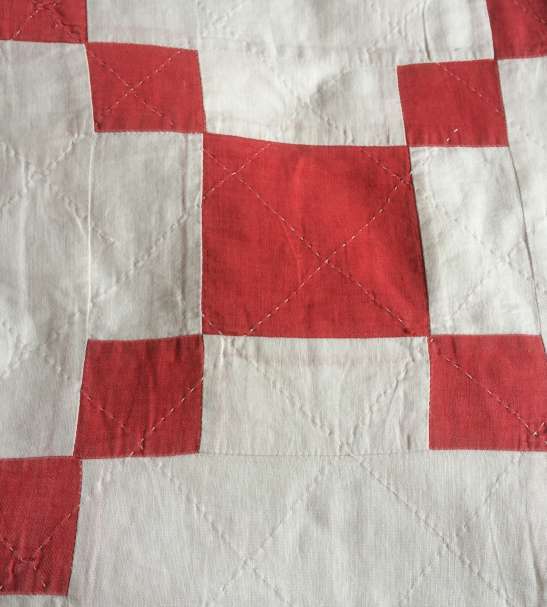 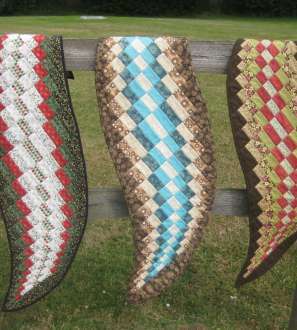 Both Ann Jermey and Barbara Chainey have similar quilts in their collections but Barbara’s is older and so worn that most of the red squares have been lost.The photo is of Ann’s quilt which has a very simple quilting design while the one on Barbara’s quilt is more complex. 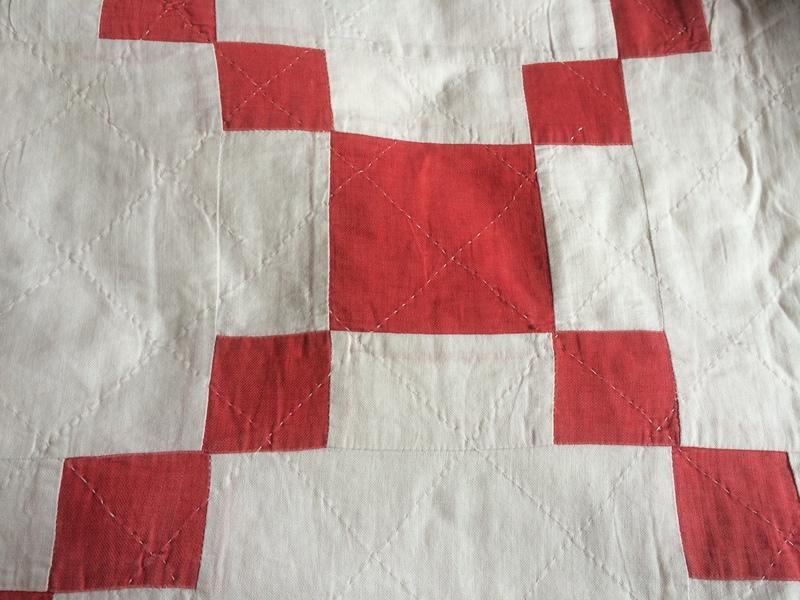 Both quilting patterns are described in the text. 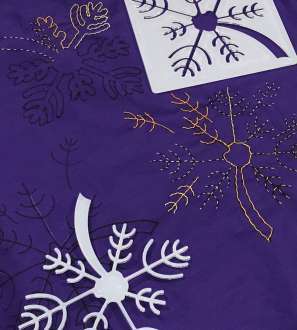 The pattern is very simple to make – full step-by-step diagrams are included – and the instructions cover rotary cutting and machine piecing. 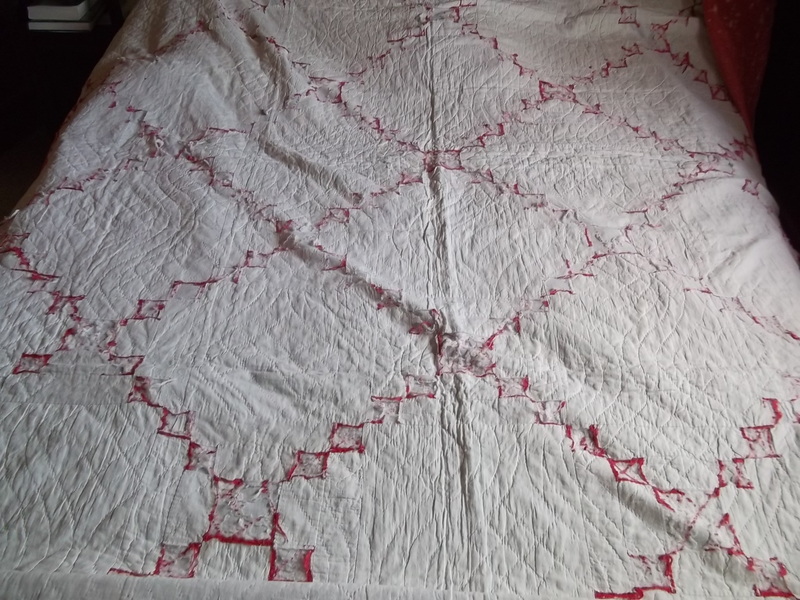 This is a large bed-size quilt, but you can always make fewer blocks for a lap quilt.